You must watch this video which is part of the Listen to Your Mother series of videos, and features our very own Debi Jackson, contributor to Transas City and a close friend of mine. Her story is incredibly touching, and the video conveys fully the emotions she feels over standing behind her transgender daughter. Again, you must watch this video and see if you have a dry eye afterwards. 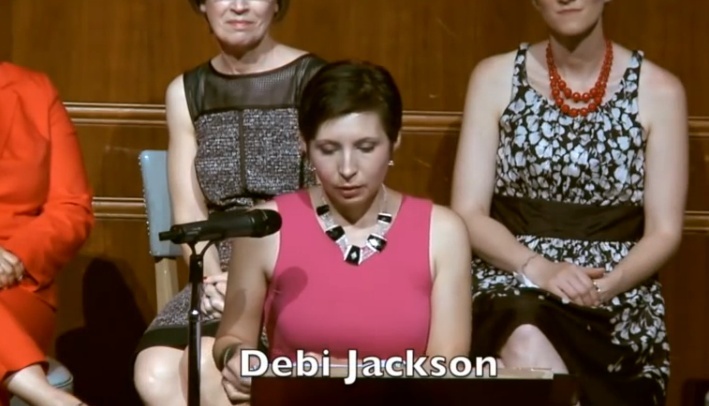 Debi Jackson, Mother Of Transgender Child, Gives Moving Speech. This entry was posted in Activism, Essay, Testamonial, Youth and tagged transkids on July 15, 2014 by .